Horses in the sea-a pastel study of horses exercising in the sea. 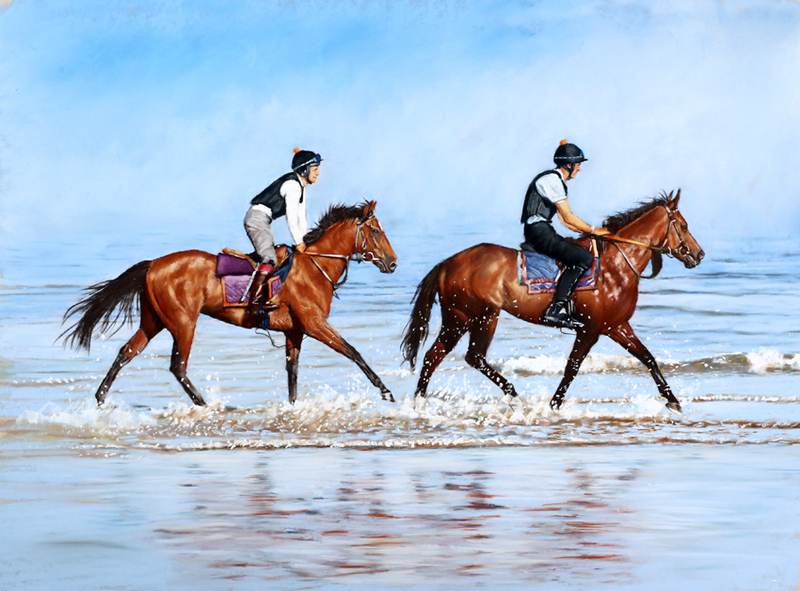 This is a 29″ x 22″ pastel painting of two racehorses exercising on Deauville beach early in the morning. The framed image shown is to show what it could look like but………if the work is collected the frame its in now is FREE.